DESCRIPTION: Wing length 8 - 11.25mm. A smart little beast best identified by habitat and the blue-grey abdominal bands of the female. Males have a yellow scutellum and primarily yellow legs. All markings on the abdomen can be reduced and yellowish. The stigma is black. BEHAVIOUR: Adults seem almost addicted to umbellifers and are a good place to see this species. The larvae feed on ground dwelling aphids. 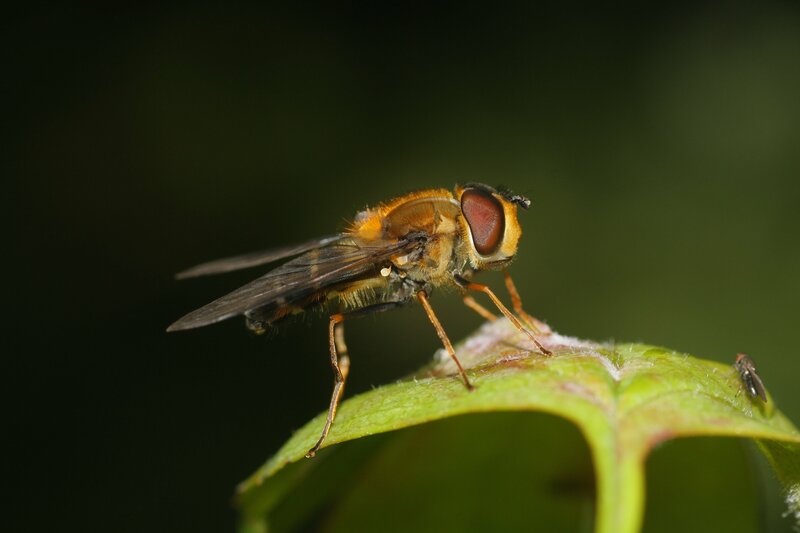 DISTRIBUTION: A frequent hoverfly with a widespread distribution although scarce in the far North of Scotland and, oddly enough, East Anglia. HABITAT: Woodlands and woodland clearing where plants such as Hogweed and Angelica occur in good numbers. PERIOD: End of April to early September.